The great State Fair of Texas is underway and with it comes plenty of excitement! 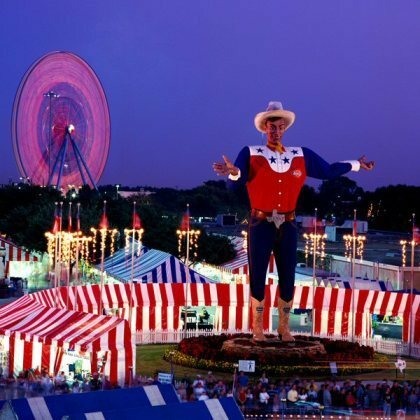 Since 1886, Dallas has hosted the State Fair. Today, approximately 3 million people visit the fairgrounds over the course of the month that it is open. Everything is bigger in Texas and the Fair is no exception! There’s something for everyone – from Big Tex, the 55 foot, 95 gallon hat-wearing cowboy that welcomes you to the fair, to pig races, free live music, and the Texas-OU Red River Rivalry football game, to name just a few. If you want to taste some of the most decadent food around, the State Fair is the place to get just about anything imaginable dipped in batter and deep-fried. Choices include the usual corny dogs and funnel cakes, but also some outrageous dishes like fried butter, fried Coke, and cotton candy tacos. If you are more interested in visiting for the activities, there are plenty to take part in. 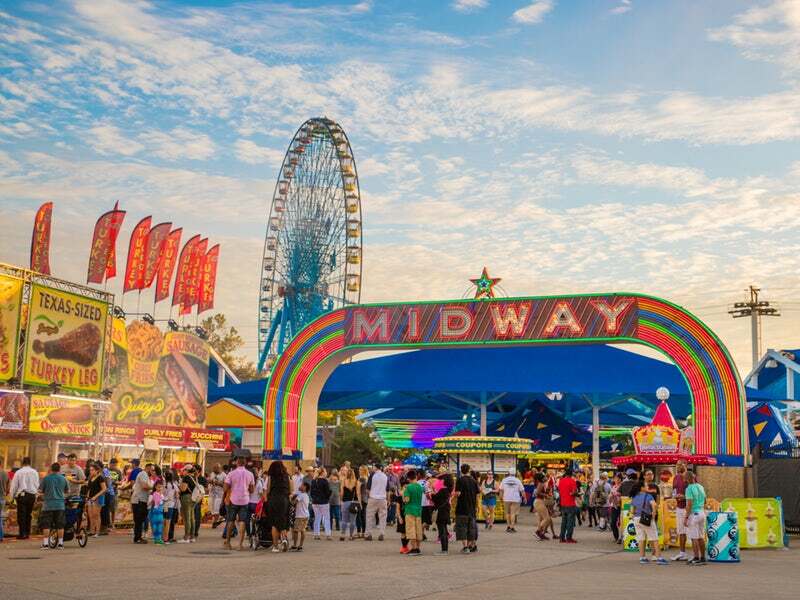 The Midway is home to countless amusement rides, including the 212 foot tall Ferris wheel, the Texas Star. There are also pig races, dog shows, livestock exhibitions, and auto shows. There’s even a butter sculpture and a starlight parade. But what many don't realize is the State Fair has a huge educational and philanthropic component. While the annual 24-day exposition in September and October is the largest fundraiser of the year, the State Fair of Texas works to support its local and statewide community year-round. There are numerous ongoing initiatives and programs like the Fair’s of Texas Scholarship Program and Big Tex Urban Farms, which enables the State Fair to continue serving Texans and builds on its mission of promoting agriculture, education, and community involvement. This year the State Fair runs from September 28 to October 21. To learn more, visit http://bigtex.com/. There is something for everyone at this yearly attraction, so come on out and say “Howdy” to Big Tex, and enjoy the State Fair of Texas!